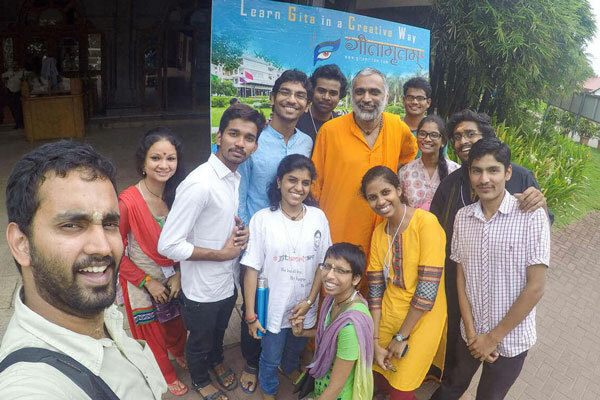 The first Mananam camp – Stay with Sthitapranja – for 5 days was conducted at Amritapuri. Selected verses from the 2nd chapter were taken for discussion. Quiz and guest lectures by Prof Balakrishnan, Amrita university; Sachin Dante former New Yorker journalist; Br Subhamrita of MAM were there. 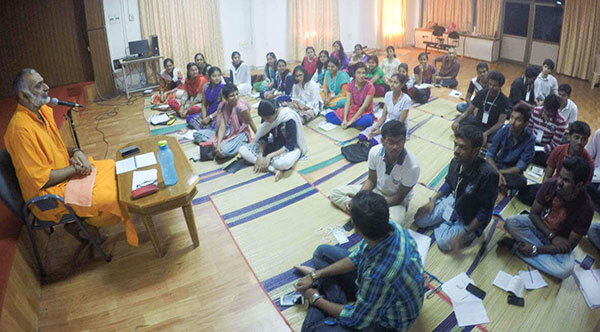 The students had Satsang, bhajan and meditation was there. 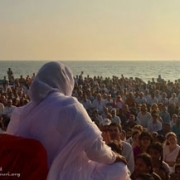 The question & answer session they had directly with Amma was the highlight of the camp – sitting at the feet of a ‘SthitaPranja’ and learning Gita.